DSvision, as it’s called, will launch in Japan next spring and is an official venture backed by Nintendo, printing firm DNP and media distributor am3 with both online and hardware elements. Users will need to buy a ¥3,890 ($37) kit that consists of a USB dongle with a microSD card slot, a 512MB card and an adapter that fits into the DS Lite cartridge slot. The slightly cumbersome process doesn’t include using the handheld’s Wi-Fi to download movies. 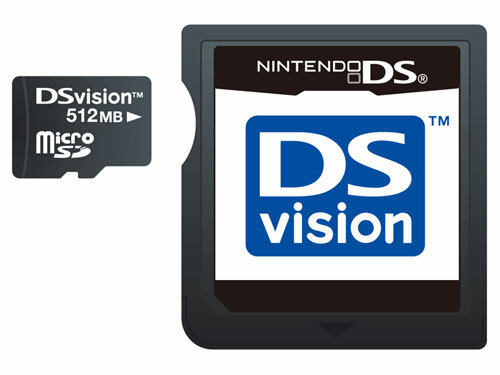 Instead, they need to be purchased from the DSvision website on a PC and transferred to the microSD card with the supplied hardware. Am3 says there will be around 300 films, TV shows, manga and e-books available at launch time, with the number scheduled to grow to 10,000 within two years. As it claims 16 movies will fit on a 2GB card, that suggests that they’re compressed to just 128MB in size, which is the amount of data that can fit on standard DS Lite cartridges. There’s no word on quality from the DSvision at this time, but we’ll be sure to let you know when we get our hands on one next year. Sponsored links: Try out our free E20-001 dumps and latest 70-680 test training courses to get high flying success in final mcitp certification & 642-437 exams; mcp is also very useful tool.